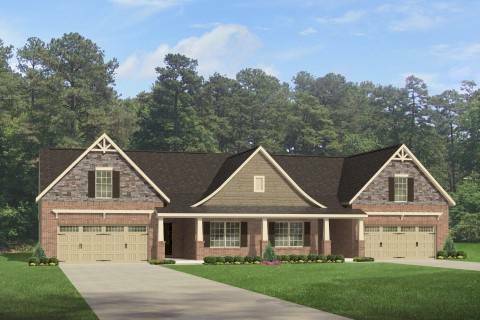 The Aberdeen - Single story twin home with 2 Bedrooms and 2 Baths. 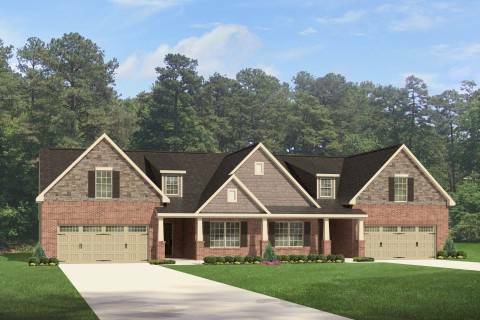 Optional Bonus Room over garage or 3rd Bedroom. Optional 3rd Full Bath. Covered Porch is Standard, or choose the optional Morning Room instead. Large Open Great Room, Kitchen and Breakfast Area. Large eat-at island in the Kitchen. Optional Drop Zone at entry from Garage. 2 Car Garage. 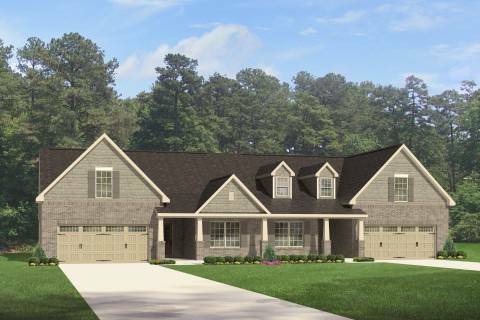 With options, this plan can grow to over 2000 square feet with 3 Bedrooms and 3 Baths.